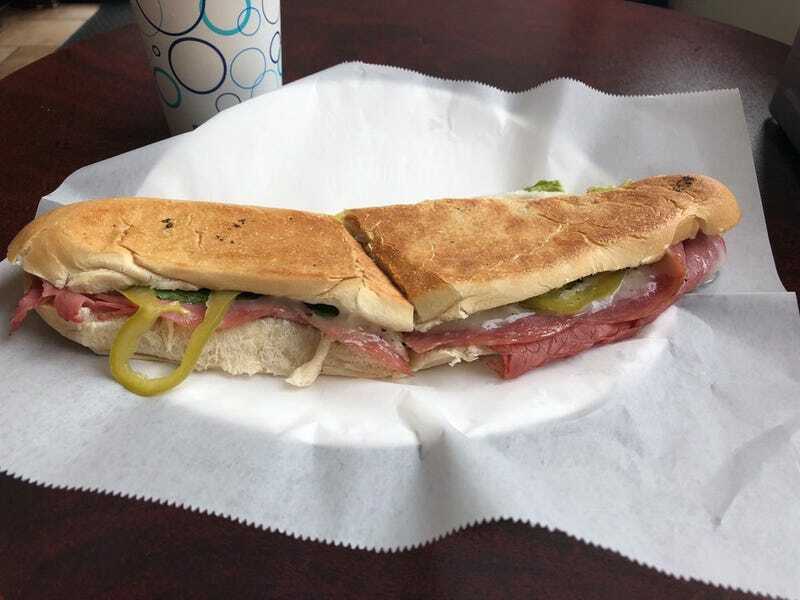 The Sandwich You Can’t Refuse. Rain and temp falling. Anthony’s Deli. “American Prosciutto, Genoa Salame and Provolone Cheese topped with Romaine lettuce and our own marinated peppers and our own special dressing.” I liked the peppers on this one. Special was muffoletta and soup that the other people got. Saved half of mine.